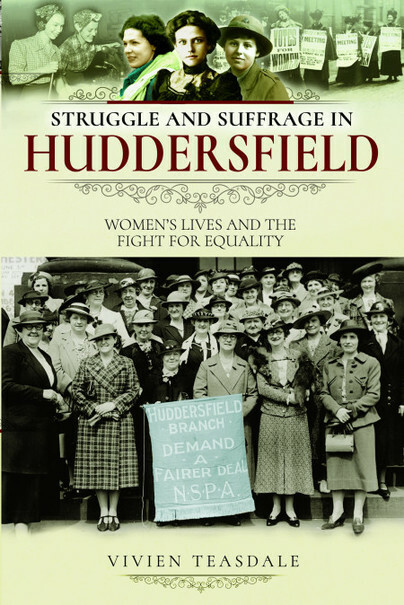 You'll be £12.99 closer to your next £10.00 credit when you purchase Struggle and Suffrage in Huddersfield. What's this? If you’ve ever wondered how life changed so much for women over the hundred years between 1850 and 1950, this is a great introduction. During this period, women went from being seen as merely possessions of their fathers or husbands to being individuals who had the right to own property, to enter the professions and to keep the proceeds of their employment. They gained access to education and began to take part in the running of local councils, leading eventually to becoming part of the Government of the country. Focussing on women in Huddersfield during these years, the stories range from the well-known ladies who were instrumental in obtaining the vote for women or led the much needed work to support the armed forces during both world wars to those who simply battled to keep their families fed, clothed and healthy during all the changes of those momentous years.